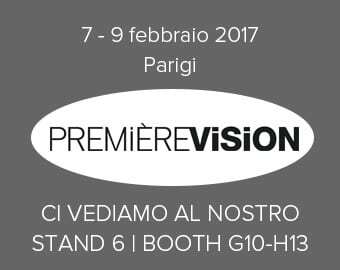 This year the month of February is starting off in style for Carvico and Jersey Lomellina which, from Feb 7 to Feb 9, are going to exhibit at the well-known Première Vision trade fair, the Parisian event dedicated to the fashion business which, once again, is going to host all the biggest names of the industry and is therefore an opportunity not to be missed for the Italian companies. We are talking about an event which involves over 1900 exhibitors and 60.000 visitors from 120 countries, the ideal venue where to get in touch with international designers and buyers and introduce to them the latest additions to the companies collections! Like the new Couture Collection PE 2018 featuring a selection of outfits which celebrate the concept of versatility and translate into shape and style those fabrics Carvico and Jersey Lomellina are famous for. Such collection has been created by Angelo Figus and Maurizio Brocchetto, two of the most well-known International designers of our time, who, for the second year in a row, have reconfirmed their partnership with Carvico and Jersey Lomellina launching an absolute novelty: “indigo”. For the first time ever, the “pure indigo” treatment, usually applied only to denim, is used to dye warp knitted and circular knitted fabrics which perfectly blend vintage, worn out surfaces with the performance and comfort of techno-fabrics.